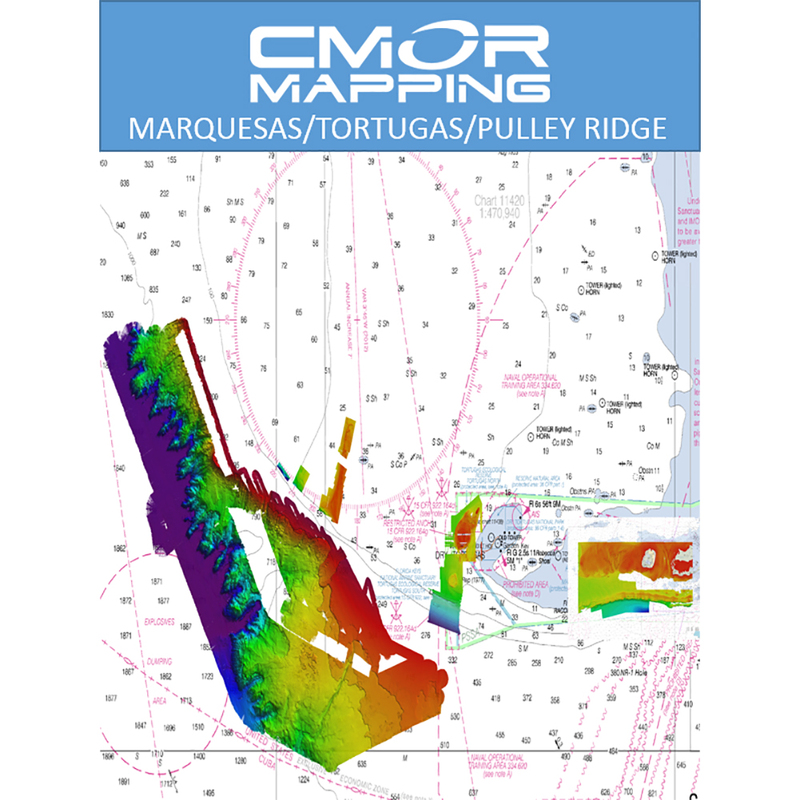 The Tortugas/Marquesas/Pulley Ridge CMOR mapping card combines extensive coverage of the Marquesas Keys, the Dry Tortugas, Pulley Ridge and the rarely fished Florida Canyons. 150 square miles covering pulley ridge and the surrounding grounds to the west from 130’ to 500’. The Marquesas/Tortugas/Pulley Ridge CMOR card clearly shows the Florida Canyons running up to the shallower areas and the nice structure on the flat areas in 2,000'. Also shown are areas of nice muddy bottom west of the Dry Tortugas for tilefish out in 490', deeper structure in 850' that holds queen snapper and deep water grouper, and shallow coral heads and ledges for lobster and monster hogfish! Please note that there are several areas in the Tortugas where anchoring, spearfishing and entering are prohibited so check the regulations prior to arrival. NOAA Charts 11439 and 11013 are included in the background.